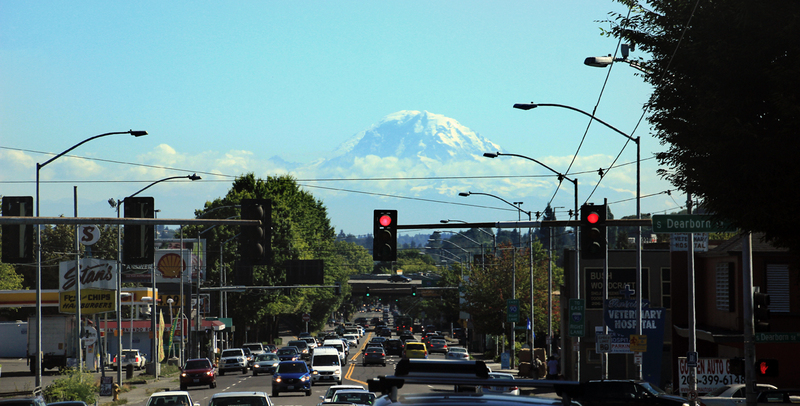 I took a little detour to Rainier Avenue coming home from work and got stuck a little bit in the heavy traffic. The weather has been really great and you can Mt. Rainier out in the distance. Driving on a day like this with the view, there can be no doubt why this is called Rainier Avenue. The mountain looks so close, just at the end of road.